I threw a birthday picnic for my girlfriend. Jeremy was outstanding. He met us at the park early and made it extremely memorable. He also plays songs in multiple languages. I will definately hire Jeremy again. Thank you, Jed, for your comments. It was great to be part of the birthday celebration! I enjoyed it very much as well. My name is Jeremy But; I am a singer / songwriter / guitarist in LA. 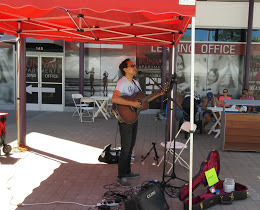 I have been a regular solo performer at Playa Vista, Westwood and SoCo Farmers' markets in the past couple of years. In the past, I also frequently performed at numerous Borders Books and Music stores before they closed, coffeehouses and restaurants, and major folk festivals in Arizona, and Texas, as well as private events (fundraising events and social gatherings) and many wedding receptions and special events. I have performed at several venues in CA, including a 250-person reception at the Cerritos Center for Performing Arts sponsored by the City of Cerritos, Santa Monica Bay Women's Club Valentine's Day fundraising event, Doubletree by Hilton, 3rd Street Promenade, DTLA Acoustica Series, Westchester Farmers Market, Motor Avenue Farmers Market, ShowBiz Cafe, and Klatch Coffee. Although I am solo performer, I am accompanied by a live drum machine pedal and back-up harmony singer machine (also a pedal), which means that my live performance has a full sound. Sometimes touted as “World Music on Acoustic Guitar,” my style is best described as Folk Rock /Urban Folk Music. 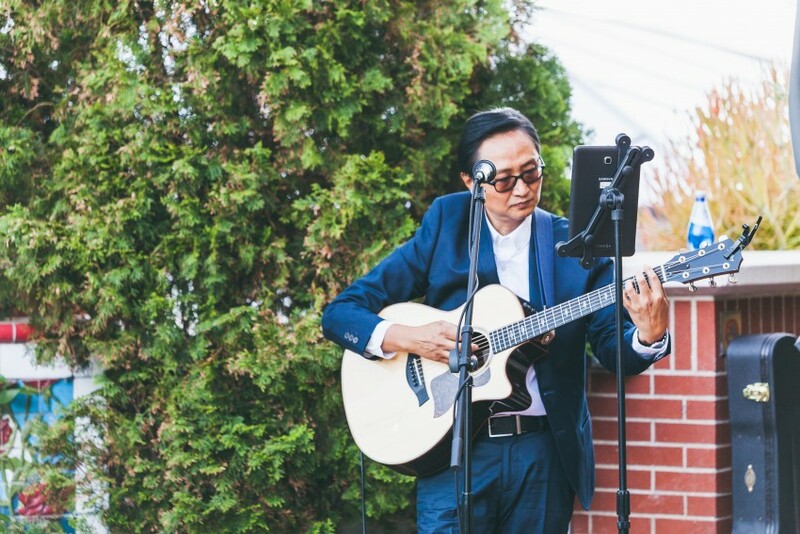 Although my musical influences are from the great singer / songwriters including Cat Stevens, Ellis Paul, Paul Simon, City and Colour, and Damien Rice, my music is always distinctively original in tonality and expression, infused with my multilingual and cultural background. I am an accomplished acoustic finger-style guitarist, and have re-arranged many classic songs for finger-picking guitar solos. 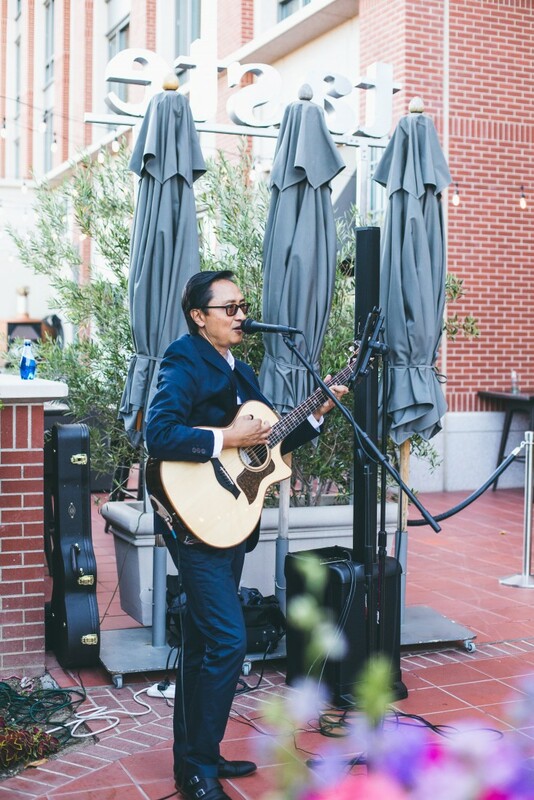 My performances have garnered rave reviews from audiences and event organizers alike. 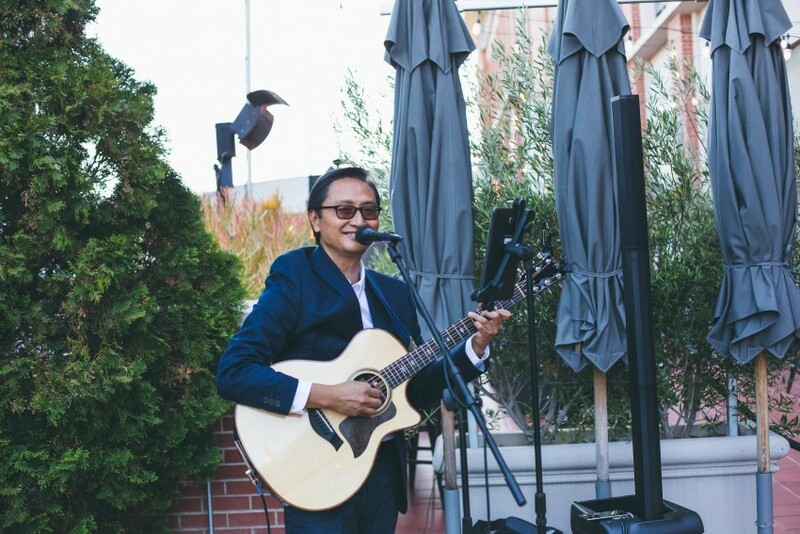 My repertoire includes many original songs, acoustic/rock songs from the 60s, 70s, 80s, 90s, and contemporary acoustic artists such as Damien Rice, City and Colour, Jack Johnson, and John Mayer, etc. My own original songs are introspective and retrospective, often using alternate tunings and unique guitar techniques. Please have a listen to my demo music on (link hidden). Note, because of copyright restrictions, only original songs were uploaded. I do customize to the needs of the party or audience.